Dexter Daily: POLL: Is the 'Brain Surgeon' Someone We Already Know? POLL: Is the 'Brain Surgeon' Someone We Already Know? 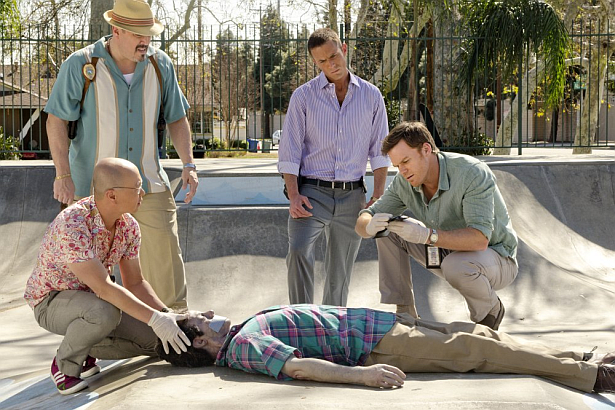 Yes, the Big Bad of Dexter's final season, the 'Brain Surgeon' is not dead. After Yates's death on episode 8.05 "This Little Piggy", most of the fans thought that the case is closed. At the end of last Sunday's episode Dexter finds his protege Zach, dead at his apartment. He's a victim of the Brain Surgeon. The real one. Who do you think the Brain Surgeon is? Is someone we've already seen in Season 8, or not? Vote below and discuss! Is the Brain Surgeon someone we already know?